The owners of this Annapolis town home contacted Maryland Curbscape to install a concrete patio on the back of their home. The house, near Annapolis High School, had a back yard that was completely unusable due to mud and dirt. The space was transformed from an unusable, dirty eyesore to a functional and attractive space. 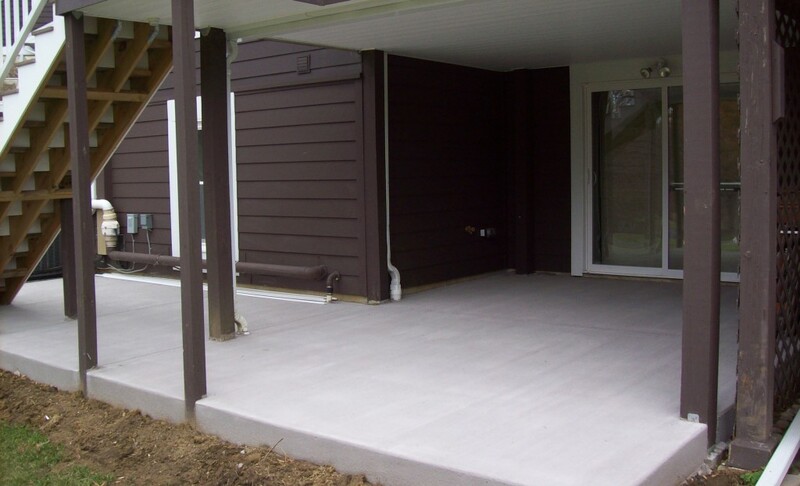 Maryland Curbscape laid a plain, colored concrete patio that allowed for extending living pace to use for storage and entertaining. The project was completed quickly and within budget.